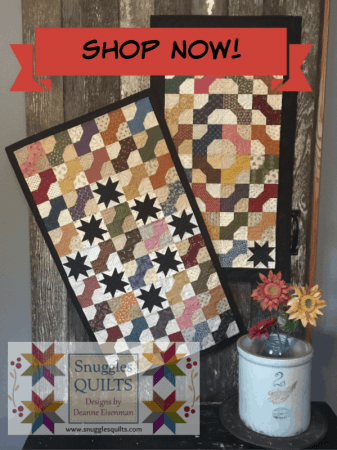 Accurate Piecing Tips and New Pattern Inspiration! Today I want to share one of my newest patterns: Ice Cream Social! 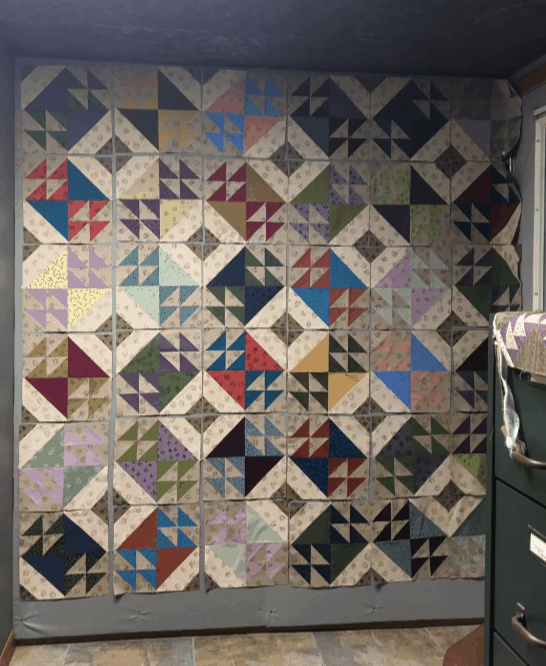 It’s a scrappy set of table runners that are made from small blocks. 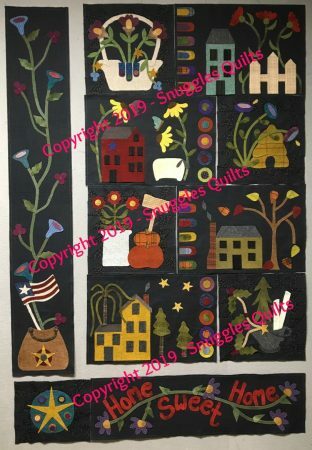 I love working in a standout element like the black stars to focus in on and then use the scrappy nine patches as a colorful secondary design. 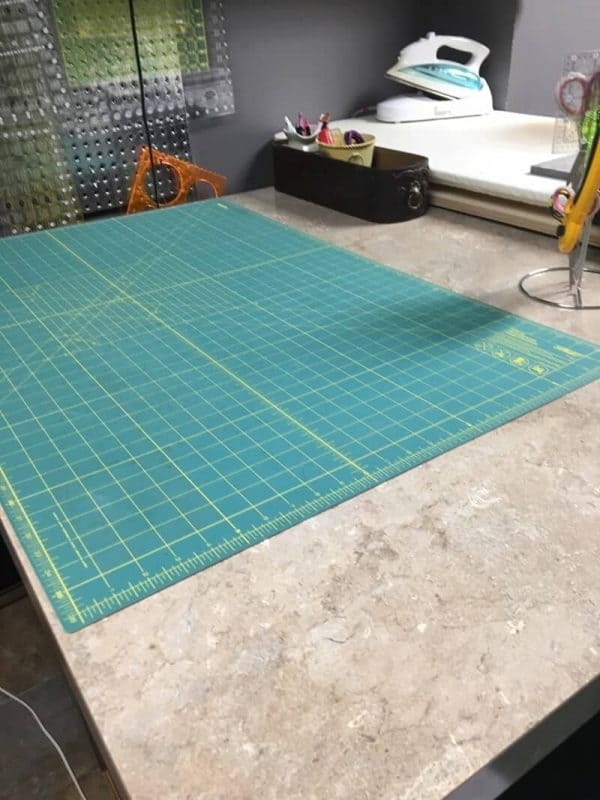 Both of these runners are quick projects and will dress up any table in your home! You can do the applique on the one runner by hand or machine. You can also substitute in wool for the fabric applique if you prefer! 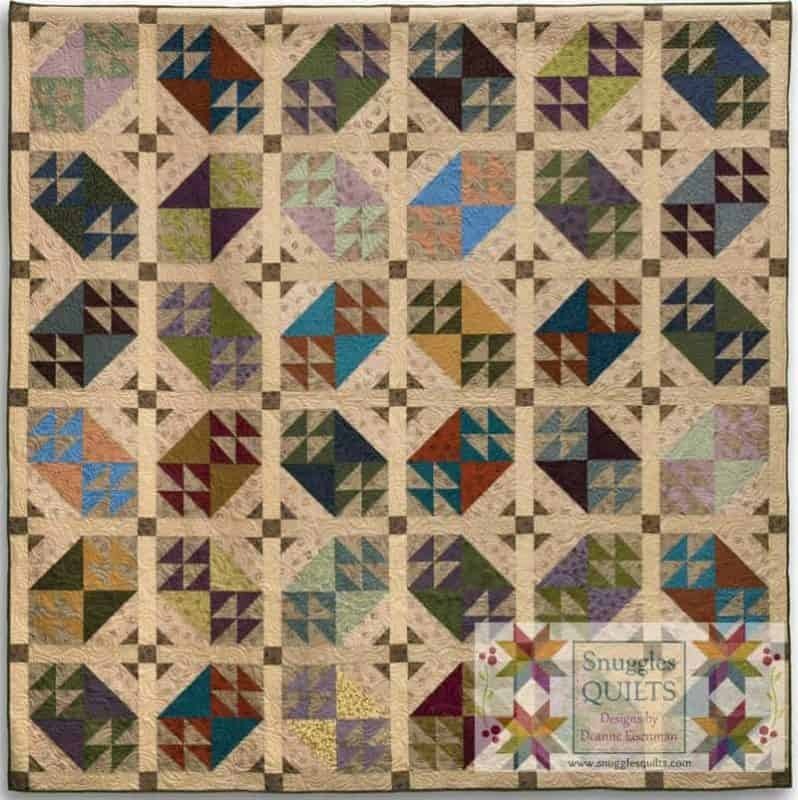 The blocks in these patterns are 3 1/2 x 3 1/2″. 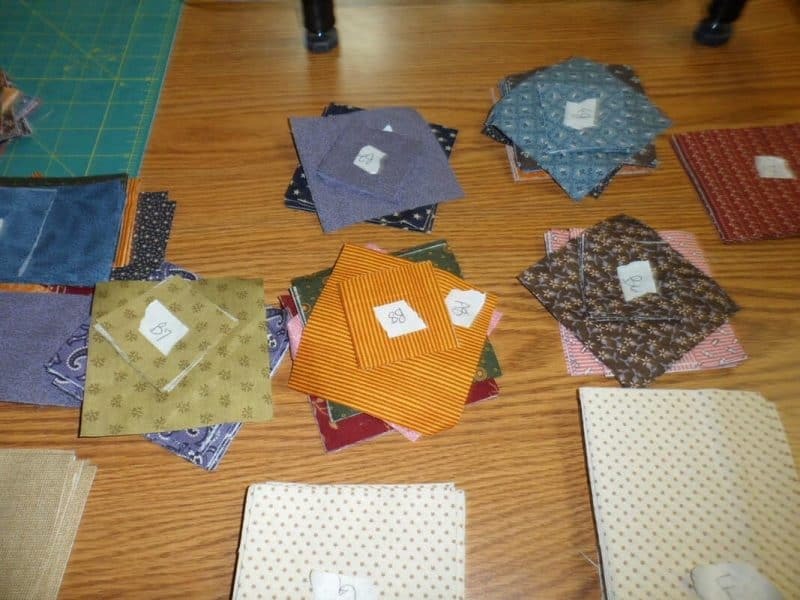 Accuracy in piecing is important in quilting…. especially when making small blocks. There’s not as much room for error the smaller the block. 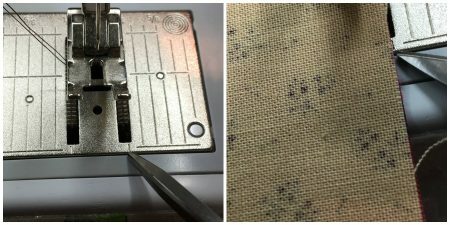 First, check to be sure your machine is stitching with an accurate 1/4″ seam. Take 2 scrap pieces of fabric and stitch them together, then measure the seam. 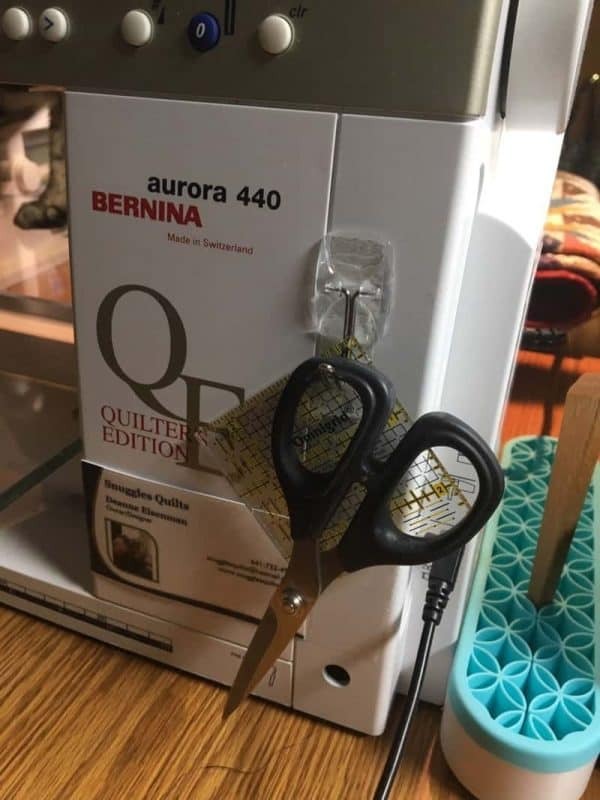 If your seam measures 1/4″ ….. congratulations! You are good for step 1! When stitching with this foot, the edge of the foot is lined up with the edge of the piece you are stitching. 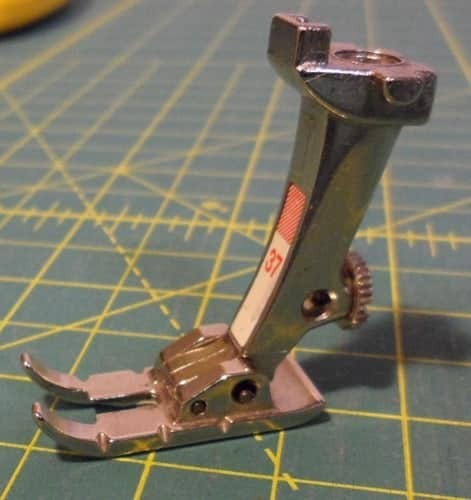 This should give you an accurate seam. If you do not have a 1/4″ foot for your machine, check to see if your machine’s throat plate has a 1/4″ mark like below. 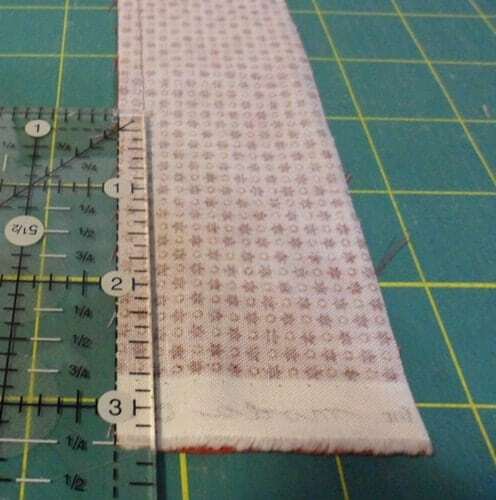 Then you line up the edge of your fabric with the 1/4″ mark when stitching. After the seam is stitched, measure it like I showed above. If you do not have a 1/4″ mark on your throat plate, you can make one by using a measuring tape and some masking or painter’s tape. 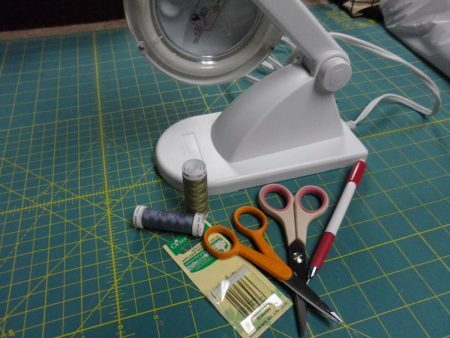 Start by laying the measuring tape under your needle at the “0” line. Lower the needle by hand to make sure the needle matches up with that line. Then, find the 1/4″ line on the measuring tape. 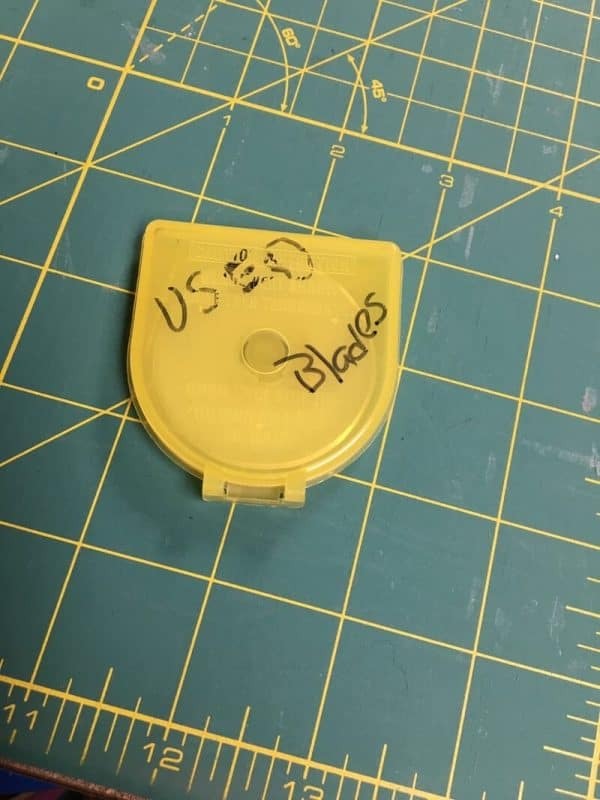 Use this as a guide to place a piece of tape on your throat plate. 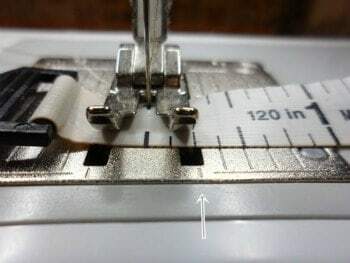 When stitching a seam, you can now line up the edge of your fabric with the edge of the tape to give you an accurate 1/4″ seam. 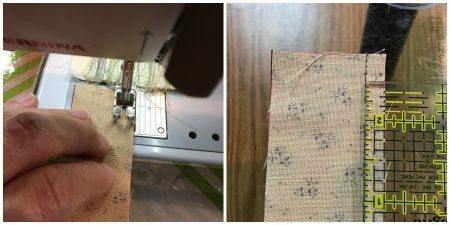 Once again, use scrap fabric to test your seam. 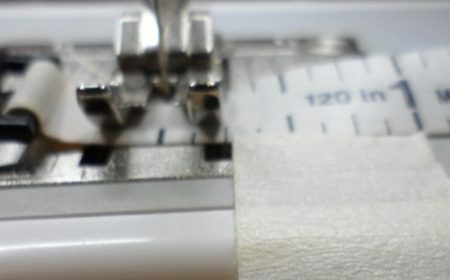 Now that you are stitching with an accurate seam, the final step in having your blocks measure accurately is to measure each unit as you stitch it to make sure it’s the correct size before continuing. 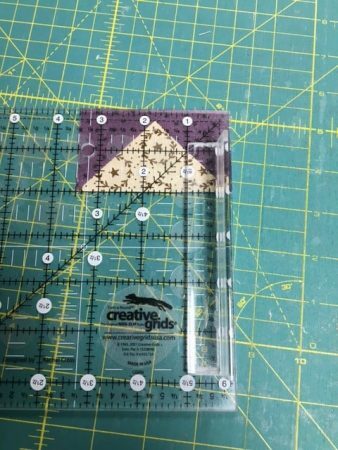 For example, if I am making several flying geese units for a block and they need to measure 2 x 3 1/2″ each so the block comes out the correct size, I measure the geese units (like below). That way, when I am ready to piece the block, I know all the units measure accurately. 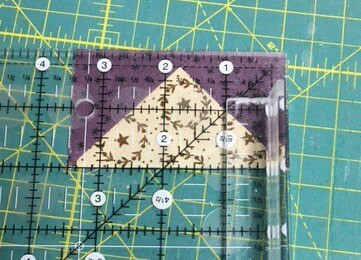 That, along with accurate 1/4″ seams guarantee my blocks will be the right size! So, there you have it. 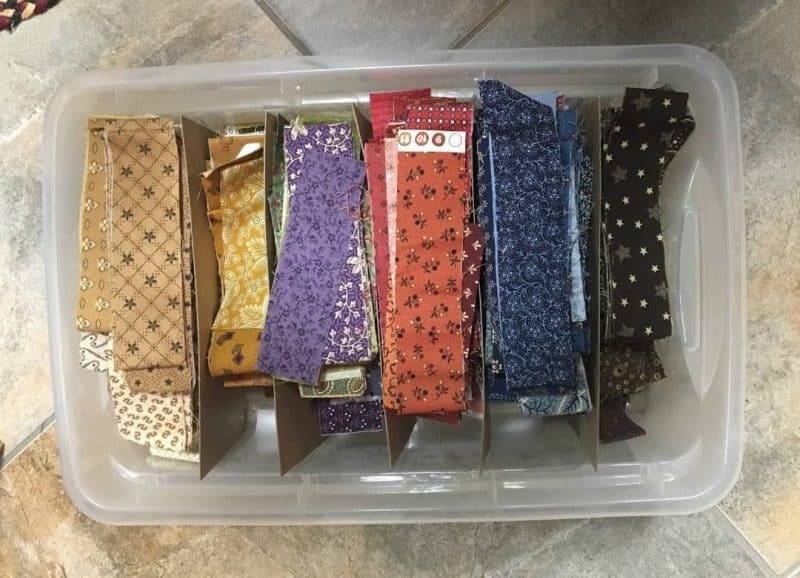 With accurate 1/4″ seams and measuring individual units as you go, you will be able to churn out blocks, big or small, that measure correctly and make your quilt go together without a hitch! 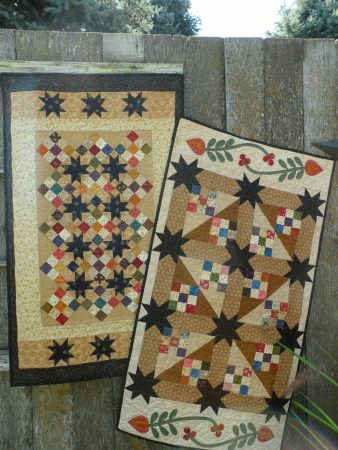 Share your secrets on accurate piecing and win a free pattern! My pattern, Ice Cream Social! The drawing will be on Monday, October 29th.